Our goal is to provide compassionate and individualized care to each of our patients. To achieve this goal, we use a Primary Care Provider (PCP) model. As a patient at Farmington Family Practice you are able to choose your personal physician (your PCP). We understand how important this relationship is and make every attempt to schedule all of your appointments with your PCP. Several of our physicians also collaborate with a mid-level provider (a physician assistant or a nurse practitioner) to improve your access to office visits. Our physician asssitants and nurse practioner work closely with your PCP to provide consistent care. This PCP model allows us to provide personalized quality care in a timely manner. Joseph Hakes, M.D. Joseph Hakes, M.D. Dr. Hakes joined Farmington Family Practice in August of 2011. He received his medical degree in 2008 from Texas Tech University in Lubbock, Texas, where he organized a “Spanish for Medical Students” course that is now an elective for students at the medical school’s Health Sciences Center. He then went onto complete a family medicine residency at John Peter Smith Hospital located in Fort Worth, Texas. Dr. Hakes is board-certified in family medicine and is available for pediatric and adult medicine, women’s health, acute care and wellness, and endoscopy. He is married with four children, who all enjoy active lifestyles and spending time together in the outdoors hiking, sight-seeing, camping and fishing, and serving in their local church. 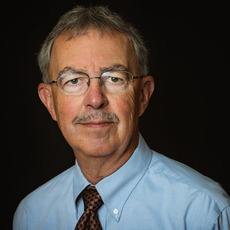 Ken Crider, M.D. 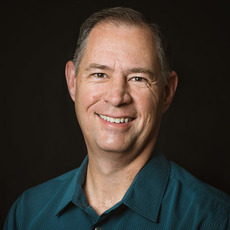 Ken Crider, M.D. 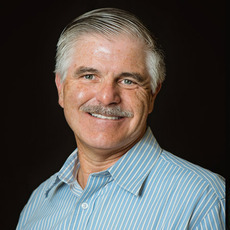 Dr. Crider has been part of Farmington Family Practice since 1983 and San Juan Medical Group since its inception. He grew up in rural central Pennsylvania and did his medical training in the east, at Hahnemann University in Philadelphia and Family Medicine residency at the Williamsport Hospital, an affiliate of the University of Pennsylvania. He moved to Farmington in 1979 to staff the then new Presbyterian Medical Service clinic. He enjoys the practice of medicine in the Four Corners serving people of cultural diversity and having the opportunity for outdoor activities. He has been married to wife Jill since 1973 and has two grown children. Mark Himes, D.O. Mark Himes, D.O. 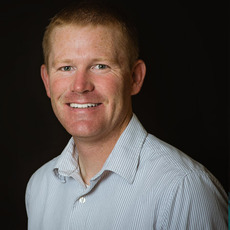 Dr. Himes received bachelors' degrees in athletic training and exercise science from Brigham Young University in 2007. From 2008 to 2012 he attended the College of Osteopathic Medicine at Rocky Vista University and completed his doctor of osteopathic medicine degree. He did both his family medicine internship and residency at OU Medical Center in Oklahoma City. 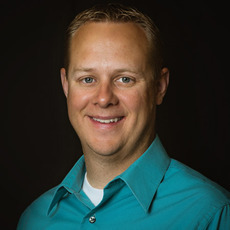 Most recently, he completed a primary care sports medicine fellowship with John Peter Smith Health Network in Ft. Worth, Texas and worked with Texas Christian University's division one athletic programs providing sports medicine coverage and primary care needs of the student athletes. Himes and his wife Jill both grew up in Bloomfield and are excited to be back in the area with their four children. Himes enjoys volunteering and has utilized his sports medicine expertise when volunteering for a variety of organizations. He also enjoys soccer, basketball, duck hunting, and spending time with his family in the outdoors. Himes is excited to serve the community he grew up in. 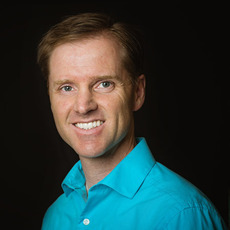 Kyle Randall is a Board Certified Family Nurse Practitioner. He received his Bachelors of Science in Nursing from Southern Utah University. He received his Masters of Science in Nursing from the University of Scranton in Scranton, Pennsylvania with a concentration in Family Practice. Kyle has RN experience in cardiology, pediatrics, and emergency medicine. Bob Burns, M.D. Bob Burns, M.D. Mark Limback has had a very fulfilling medical career. In 1980 he was introduced to medicine while taking a 5 hour EMT-B course in college. The following year he graduated with a Bachelor’s degree in Philosophy and Religion. That EMT course changed his vocational choice. Later he completed a Paramedic Program through KU Medical School. Following that he served 12 years in transport, at a Level 1 Trauma Center Emergency Department, and air transportation from a helicopter. In 1991 he was accepted into a Physician Assistant program and graduated with a Bachelor’s Degree in Science. Since that time he has been working full-time as a PA. In all he has been in the medical field over 25 years. In 1995 Mark moved to Farmington with his family; a devoted wife and two children. This year, 2011 will mark the 15th year he has worked with Farmington Family Practice, now San Juan Medical Group. He has had the pleasure of treating three generations of family members in this community. As a medical provider he believes that it is not just the physical, but the mental and spiritual aspects of an individual which makes them whole. Lance Harmon, M.D. Lance Harmon, M.D. Dr. Harmon joined Farmington Family Practice in July of 2003. 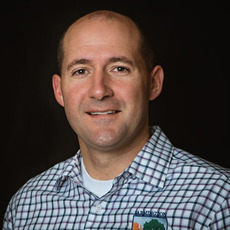 He completed his specialty training in Family Medicine at Memorial Hospital in South Bend, IN in 2003, at which time he also received a Masters degree in Public Affairs. He graduated from the University of Utah, School of Medicine, in 1999. He is Board Certified by the American Board of Family Medicine. 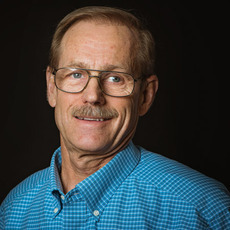 He began his undergraduate work in Rexburg, Idaho and completed his Bachelor of Science from the University of Wyoming majoring in Natural Science with a minor in German. He served as a missionary for the Church of Jesus Christ of Latter-day Saints in Germany. Dr. Harmon was raised in Green River, Wyoming. He is married and has 7 children (3 of them born in Farmington). He enjoys athletics, spending time with his family, and in church service. George L. Payne, M.D. George L. Payne, M.D. Raised in Las Cruces NM, Dr. Payne grew up hoeing cotton and picking Green Chili. He continues to enjoy working outside in his garden and yard. His wife Joanne and four sons occasionally pry him away from his tractor and enjoy spending family time together. Dr. Payne received both his undergraduate and MD degree from the University of New Mexico. He completed his three year residency training in Fort Worth, TX and is Board Certified in Family Medicine. After completion of residency, he and his family moved to Farmington in 1999. Dr Payne enjoys children and a prominent portion of his practice is Pediatrics. He and his family enjoy many outdoor activities as well as music and singing. They find joy and satisfaction through serving others in our community through civic and religious opportunities. 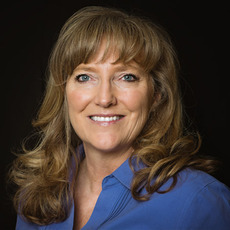 Charlene “Michelle” Hagen is a Board Certified Family Nurse Practitioner. Michelle joined SJMG Farmington Family Practice in November of 2010. She received her MSN from UNM College of Nursing with a concentration in Family Practice NP program. Her background includes working as a RN in the emergency department at SJRMC for 11 years. This has provided her a solid foundation in treating chronic and acute medical problems. She is thoroughly enjoying her current role as a NP in the primary care realm. As a nurse practitioner she has full scope of practice in diagnosing, treating, evaluating, prescription authority, and managing acute illness and chronic disease. She is available to provide services including acute care, annual physicals, sports physicals, well child, preventive health, and woman’s health care. If you currently see another provider at the clinic, but prefer to have a female examiner for your well-woman exam, feel free to schedule with Michelle. Michelle and her husband are both natives of Farmington and have strong ties to the community. They enjoy visiting their adult son, spending time together as a family in various outdoor activities, and serving in their church. Ronald Calcote, M.D. Ronald Calcote, M.D. Ronald Calcote, M.D. is Board Certified in Family Medicine from the University of Kansas, Bell Memorial Hospital, in Kansas City, Kansas, and practiced medicine in rural Kansas for 5 years. He has been in Farmington for the past 21 years. His father was a Methodist Minister in various small Kansas towns where Dr. Calcote attended grade school through High School. 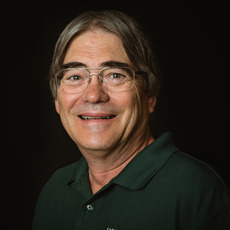 He completed his Bachelor of Science degree at Kansas Weslyan University in Salina, Kansas in 1978, before going to Kansas City for his medical degree. He enjoys the full spectrum of Family Medicine, from newborns to geriatrics, but primarily enjoys getting to know his patients and their families on a personal level. His leisure time is spent with activities in his church, golfing, hiking, and other outdoor activities, as well as spending more time with his wife, now that their three children have all graduated from college and are starting their respective careers. For the past eight years he has been very active on the San Juan Regional Hospital Board of Directors.